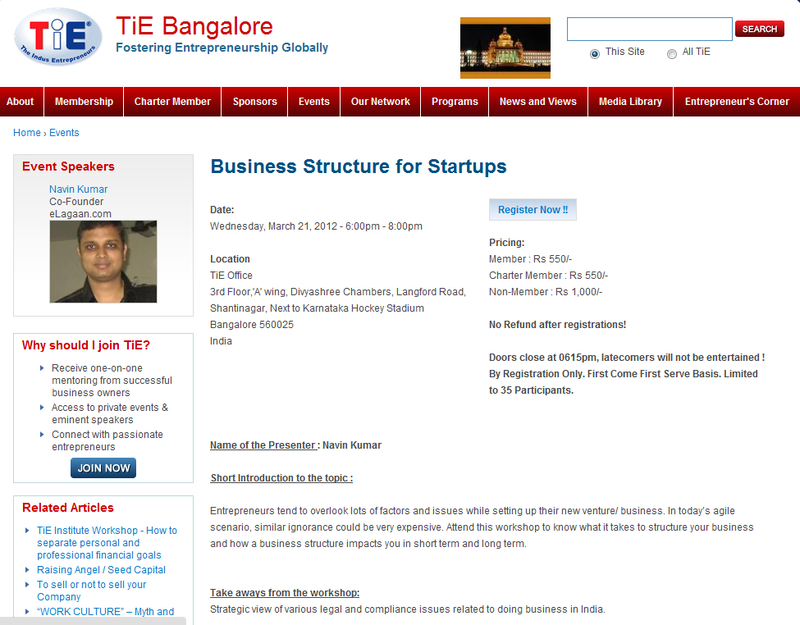 eLagaan to deliver a workshop at TiE, Bangalore on "Business Structure for Startups"
eLagaan will be delivering a workshop about "Business Structure For Startups" on March 21'2012 at TiE, Bangalore. Its a great workshop for entrepreneur's who are looking to start a company soon, or have have just started their business. Entrepreneurs tend to overlook lots of factors and issues while setting up their new venture/ business. In today’s agile scenario, similar ignorance could be very expensive. Attend this workshop to know what it takes to structure your business and how a business structure impacts you in short term and long term. Strategic view of various legal and compliance issues related to doing business in India. 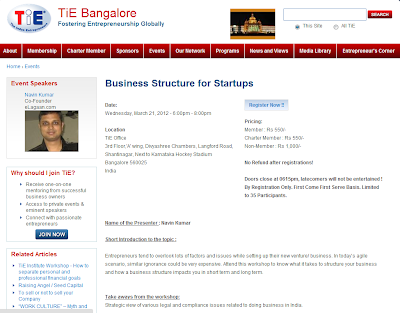 For more details please visit http://bangalore.tie.org/event/8/business-structure-startups .